QIP 2018 will be held in Delft, the Netherlands. Delft is easily accessible by train and car from either Schiphol or Rotterdam The Hague Airport. The conference will be held at the Aula Conference Centre of Delft University of Technology. Plan ahead! It is imperative that speakers and attendees allow sufficient time to obtain visas. International registrants should be particularly aware and careful about visa requirements, and should plan travel well in advance. Information on visas for the Kingdom of the Netherlands can be found here. We advise you to begin the application well ahead of time to avoid last minute problems. The time to obtain a visa can vary widely and can take over two to three months in exceptional cases, for example if additional documents are necessary. An interview at a consulate may also be required. If presenting a paper/poster/talk, include the title. An up-to-date Curriculum Vitae (CV) that includes, if applicable, a list of publications. A brief statement explaining your interests in the conference. A list of any recent QIP conferences you have attended. A reference in the quantum information community who has attended past QIP conferences. We look forward to seeing you at QIP 2018 in Delft! QIP 2018 gratefully acknowledges travel support from NSF (grant CCF-1745134), which will partially support the costs of traveling to and attending QIP 2018 in Delft, The Netherlands, for U.S.-based students and postdocs with substantial need. Grants will range up to approximately US$ 800, although the exact amount awarded may vary depending on the number and needs of successful applicants. A brief two-sentence justification of need regarding funding. A very brief resume indicating current position, highest degree attained, and prior publications. A statement declaring gender and membership in an under-represented group, if applicable. For student applicants, a supporting statement sent directly by the student’s advisor, which should confirm the student’s eligibility and recommend the student’s attendance of QIP. This letter can be sent directly by the advisor, and it must include the student’s name in its title. Authors/co-authors of accepted papers at QIP 2018 who otherwise do not have the financial means to attend the conference. Membership in an under-represented demographic group at QIP. Student applications which demonstrate a strong case for the benefits of their attending QIP 2018. Participants from institutions typically not represented at QIP. Postdoctoral researchers with an accepted paper at QIP 2018. Applicants without previous NSF travel support from this type of QIP travel grant. To be eligible, applicants must be based in the U.S., as per NSF policy. Only flights on US carriers can be reimbursed. Reimbursement for accommodation will be based on the expectation of shared accommodation. Applicants who are not eligible to apply for the NSF travel fund. The travel committee will communicate decisions on what applications are supported by November 15. Only applicants who are chosen by the committee and qualify for partial funding, will be contacted on November 15, for reimbursement for their flight tickets/accommodation. Please note: all reimbursements will be dealt with after the conference! Traveling to Delft is relatively easy. Schiphol Airport services all major airlines. The train connection from Schiphol to Delft is a 40 minute train ride. Trains leave from Schiphol airport roughly every quarter of an hour. Road links from Schiphol are equally as fast. Follow signs to Rotterdam and it should take you about 35 minutes. You can also fly to the smaller, though equally efficient, Rotterdam The Hague airport. This is a 15-minute taxi ride from Delft. Delft is on the mainline between Paris, Brussels, and Amsterdam. Although the high-speed trains do not stop in Delft, you can get off in either Rotterdam or Den Haag HS and get a connecting train to Delft (10 – 15 minutes). Trains from Germany come via Utrecht CS and Amsterdam CS, both of which are about 50 minutes from Delft on a connecting train. For more information on traveling by train and time tables, see here. To travel by public transport you need a so called OV chipkaart, which you can buy at railway stations, the airport, etc. Before you can use the card you need to load credit first onto the card. For more information on how to do so, see here. At Delft Central Station several buses will depart to Delft University roughly every 10 minutes. Within the University Campus there is free but limited parking space. Additional details on the venue will be posted as they become available. The QIP 2018 conference dinner will be held at Lijm & Cultuur. Lijm & Cultuur has a rich history. In 1885 Jacob Cornelis van Marken – known from the Dutch Yeast and Spirit Factory and the Dutch Oil Factory (NOF) – set up a glue and gelatin factory on the site between the Rotterdamseweg and the Schie. The factory withstood wars, crises, social changes and an explosion, but stopped, partly due to the BSE crisis, in 2002. On the site and in the remaining monumental buildings, however, since 2003 a special transformation has taken place: from the production of gelatin and glue to the production of culture. We have arranged for discount prices at several hotels in and around Delft. These prices are only valid if you book your room, directly at the hotel and not through a booking site. Please use the following links and mention the booking code: QIP 2018. Prices include breakfast, city tax is not included! Participants are of course free to choose another hotel then suggested above. Delft is one of the oldest cities in the Netherlands, which was already established as early as 1246. Delft is nicknamed ‘de Prinsenstad’ (the Princes’ City), because William of Orange, the first in the Dutch royal line, held court in Delft in the 16th century. Other famous historical figures who once lived and worked in Delft are the painter Johannes Vermeer, the inventor of the microscope Anthonie van Leeuwenhoek, and the first Nobel Prize winner in chemistry Jacobus van ‘t Hoff. The city has a beautiful, well-preserved, lively historical center, with characteristic canals, ancient merchant houses, old churches and the splendid city hall, making it valued by tourists throughout the year. Visitors can choose from a variety of good-quality accommodations. Delft University of Technology is the university of the first Nobel Prize winner in chemistry, Jacobus van ‘t Hoff, and one of the leading research universities in engineering science & technology in Europe and the world. Established in 1842 by King William II, Delft University of Technology has a rich tradition reaching back 175 years. With over 20,000 students and a research staff of almost 3,000 people, it currently is the largest and most diverse university of technology in The Netherlands. 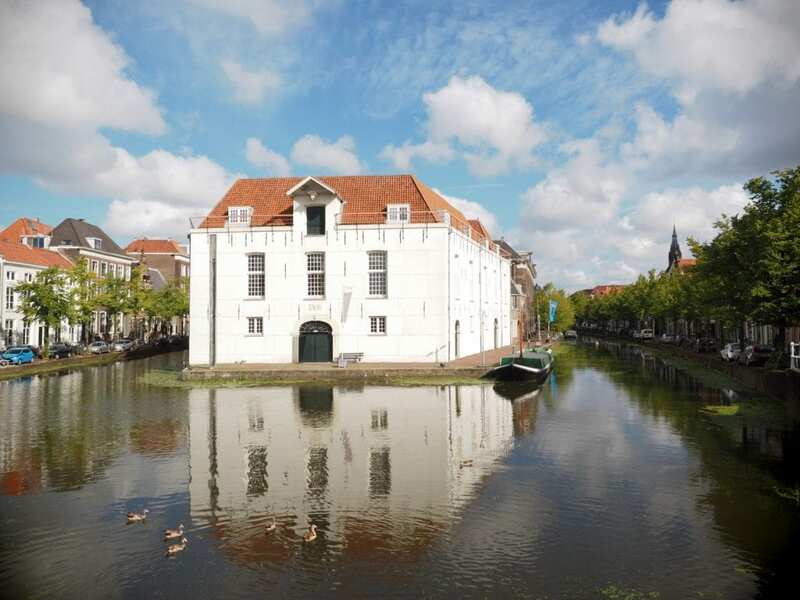 You can find out more regarding Delft and it’s history here – recommended hotspots to visit, guided tours through lovely Delft, and great places for food & drinks.